NASHVILLE- The Nashville Storm (5-0) finished the first half scoring their lowest total in three years last week. 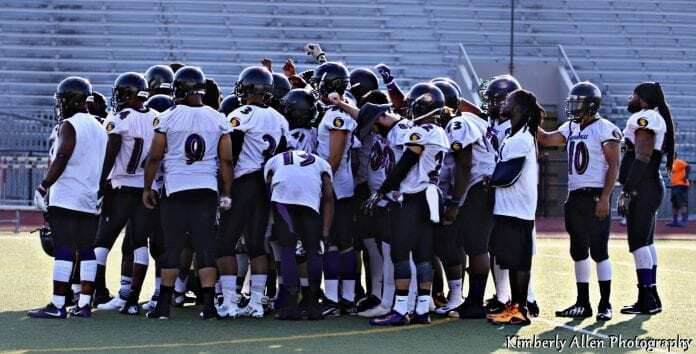 The 15-6 road victory over the Huntsville Rockets, showed Gridiron Developmental Football League teams are not going to allow the 2015 champions to walk all over them. Even though Nashville moved the ball well, they still were stifled four times deep in Rocket territory. This Saturday (Maplewood High School 7pm) the Storm will be taking on the River City Tribe (3-2) for the second time this season. In the first match in Chattanooga, the Tribe also was able to stop Nashville on multiple possessions deep in their own territory. Doing that allowed them to turn a 22-0 deficit into a 22-14 ballgame early in the third quarter. Nashville eventually won 34-14 giving them a win that was tougher than the final score indicated. Storm running back had a career high 246 yards in the first matchup. The game also was a springboard for three first year players. Wide receiver Rayvion Wade had 88 total yards in his first major role for the Storm. Since then he has scored touchdowns in consecutive game. Fellow rookie Demarco Thomas got his first professional rushing touchdown of his career. Fellow backfield mate Joe Payne also scored. Since the third quarter touchdown, Nashville’s defense has only given up one score in nine quarters. After a slow start, the unit has found a groove. Last week, veteran defensive back Travis Carter played his first game of 2016. This week, rookies Will Johnson and Tacola Seay will return after missing a week. The injury bug has plagued Nashville all season. Their depth has allowed them to remain undefeated. 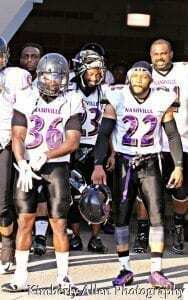 Rookie defensive back Dee Harris #36 has been brought up to speed by veteran #22 Marcus Hill.